Age-Related Macular Denegation is a significant cause of vision loss that can often be managed and even improved through targeted nutritional support. It affects mostly people over age 50. While the precise cause of ARMD is not clear, oxidative damage is suspected as being a major factor. It strikes the elderly possibly due to poor diet and nutritional intake over a lifetime,less efficient absorption of nutrients and poor circulation as the body ages. The care needed by vision-impaired elderly could become overwhelming. Let’s take a look at some of the newest research in preventing macular degeneration, as well as treatment and support options. Central vision is possible because of the macula. It is a small, yellow-colored area at the center of the retina. Age-Related Macular Degeneration (ARMD) is the breakdown of the macula cells. It happens most often in people over age 50, and it is degenerative. While it does not cause complete blindness, it interferes with writing, reading, recognizing faces, cooking, driving, and other daily activities. One common home screening tool is the Amsler test. Regular visits to the eye doctor are important for everyone in this age group. There are two forms of ARMD. “Dry” macular degeneration affects 90% of people with ARMD. Tiny fatty deposits called “drusens” form on the macula, damaging the macula cells. “Wet” MD, also called choroidal neovascularization, means that new blood vessels develop near the macula. It may develop when dry ARMD is not managed through diet, exercise and targeted supplementation. Vision deterioration can be swift if left untreated by your eye doctor. Macular Degeneration is not curable, so the focus is on slowing its progression and maintaining healthy vision. High-energy laser therapy destroys abnormal blood vessels. Photodynamic laser therapy uses a medication plus a cold laser to destroy abnormal blood vessels. Leafy green vegetables, which are rich in carotenoids. Low vision aids help ARMD patients make the most of their remaining vision. Experimental treatments such as implants and surgical approaches are underway. A pilot study3 looked at panmacular subthreshold diode micropulse laser (SDM) for preventing further damage from retinal diseases including macular degeneration. This technology uses low-intensity, high-density lasers. The study found improvements in macular sensitivity and mesopic contrast visual acuity. Medical professionals use microcurrent stimulation for wounds, pain and transplants. 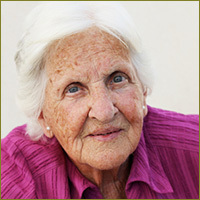 Some macular degeneration patients find that it improves their condition. A small study4 looked at 25 eyes with dry age-related macular degeneration, and 6 eyes with wet age-related macular degeneration. In most of the patients with the “dry” type of ARMD, they saw significant increases in visual acuity. Twice as many had improvements (usually large) versus deterioration (usually small). The “wet” sample size was small, but one had improvement and none had declines. See our blog post about microcurrent stimulation. The two carotenoids lutein and zeaxanthin are crucial to the macula, which is colored yellow by their pigments. This protects the retina from blue-to-UV light. A meta-study5 reviewed the research on these nutrients in December 2015. They looked at several eye diseases, including macular degeneration. Most observational studies on dietary intake of zeaxanthin and lutein found that high intake was associated with decreased risk of macular degeneration.6. “After the established correlation between the risk of AMD and low serum and retinal concentrations of [lutein] and [zeaxanthin], supplementation trials were initiated. These trials have shown extremely consistent results as compared to any other single nutrient supplementation trial.” 10 This meta-study cites a large body of research on how supplements have a significant impact on macular degeneration. There is a genetic risk for ARMD related to an inflammatory response to the presence of protein and fatty build-ups in the eye. Vitamin D has anti-inflammatory and anti-angiogenic properties. A study found a deficiency of vitamin D increased risk, especially in individuals with the highest genetic risk.12 See related Vitamin D research. A review of the research13 said that in well-designed studies, omega-3 fatty acids had no effect on ARMD. However, many studies on omega-3’s found the opposite. For example, a significant study over 10 years14 found women with the highest intake of an omega-3 fatty acid (docosahexaenoic acid) had a relative risk two-thirds lower than women with the lowest intake. Eating at least one serving of fish per week had a similarly lower risk versus having fish once a month. Astaxanthin is a powerful antioxidant in the eyes that helps prevent damage due to exposure to sunlight, reduces DNA damage, and in many ways is more powerful as an antioxidant that Vitamin C, Vitamin E and betacortene. A study on animals16 found that retinas were protected from light-induced damage with sufficient amounts of this antioxidant. In our next article, we will examine more recent research into macular degeneration, in the areas of genetics, smoking, green tea, exercise, bilberry, and the Mediterranean diet. Previous Previous post: Can Oxidative Damage Cause Macular Degeneration and Cataracts?